Includes one of the following items listed below. Default for the protective garments is Sapphire blue, but any color can be ordered. Markers that are included can be personalized - so initials need to be provided at time of order. Veterinary equipment and radiology accessories for your facility. 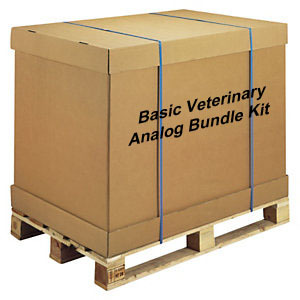 To learn more about this bundle kit or others, please contact customer service at 800-251-2629.